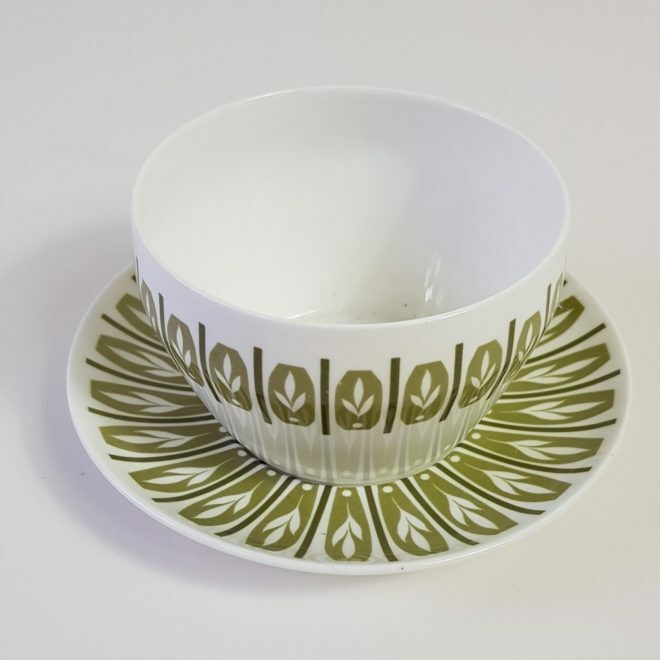 A high quality 1960s fine bone china bowl in white, decorated with an abstract leaf border in a subtle sage green colour which was so popular at the time. 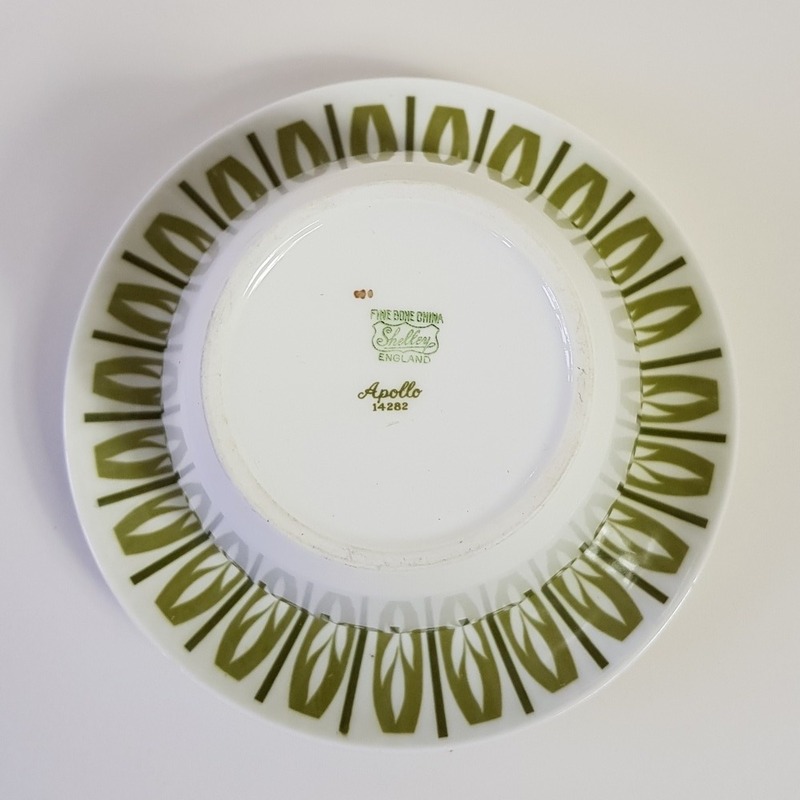 The saucer is in the same “Apollo” pattern. 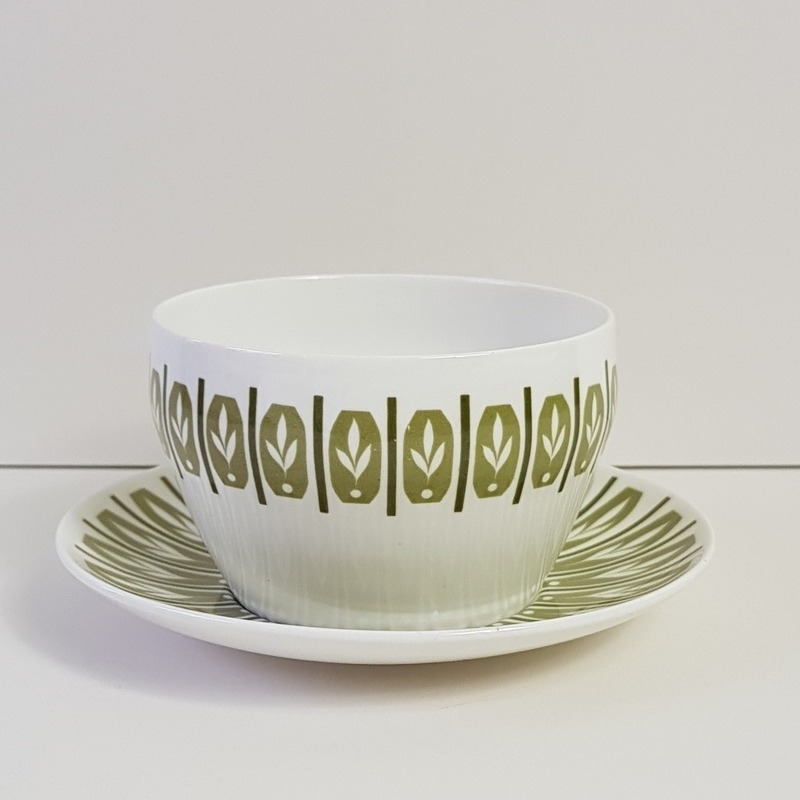 Im selling these together as they look great and could be used as a drinking bowl and saucer, or as a sugarpot with plate, take your pick! 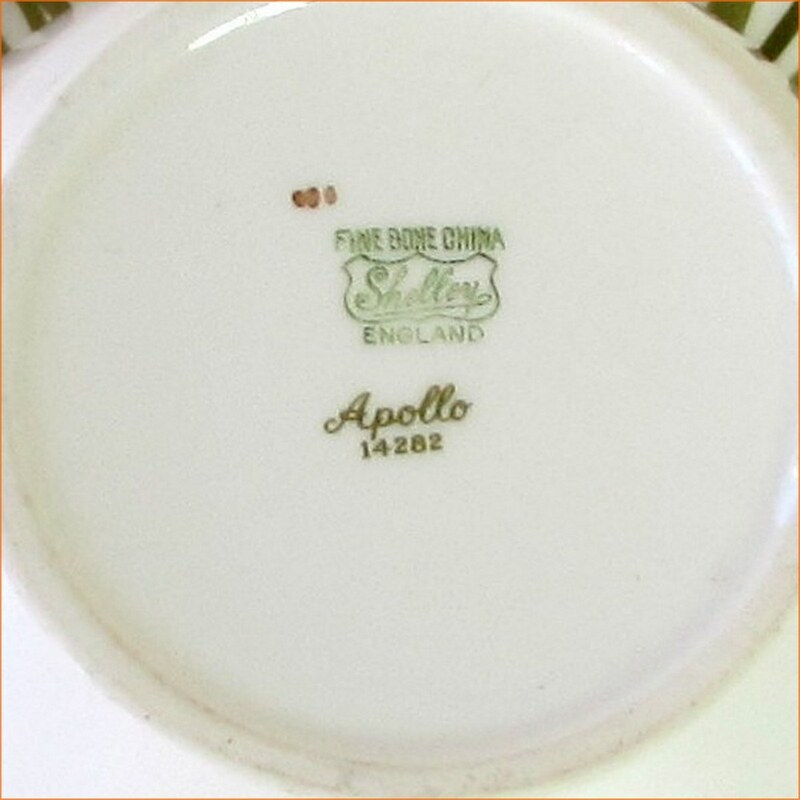 Great pieces of very good quality china from the very collectible Shelley company, backstamped with FINE BONE CHINA above a SHIELD containing SHELLEY and below is ENGLAND then APOLLO 14282. This makers mark was used on their range of “Best Ware”. 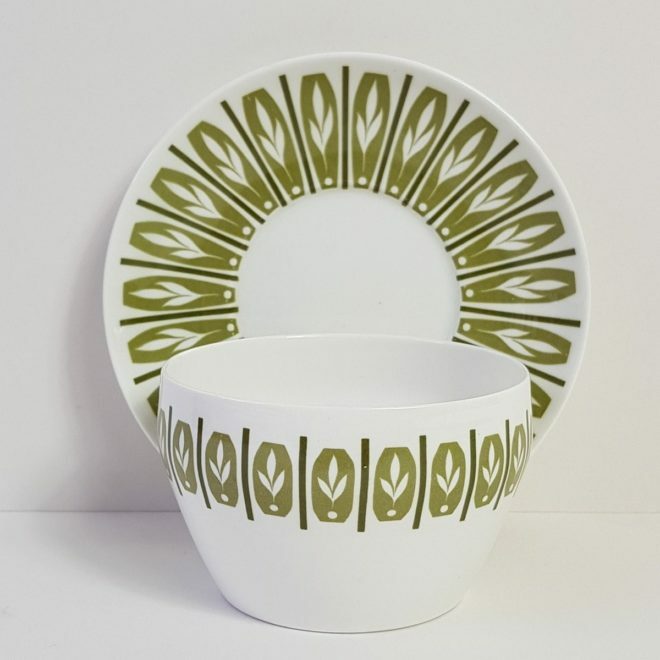 Pattern numbers started with 13000 in 1939, continuing to 14341, dated May 18, 1966.